Recent announcements of HBCU executive departures and hirings in the first eight weeks of the 2017 academic year leave some campuses and alumni brimming with excitement and others wallowing in regret, confusion, and a profound sense of loss. While Wilberforce, Arkansas Baptist College, Grambling State University, and the Southern University and A&M College Agricultural Research Center welcome new leadership, support staffs, and renewed vigor around their institutional missions; Bennett College, Johnson C. Smith, and most recently Florida A&M University face the prospect of searching for new leadership, direction, and stability. Far from a recent trend, the startlingly high number of HBCU executive departures is a decades-long trend for many institutions, and these come on the heels of a year in which 34 out of the 107 HBCUs announced an executive transaction. While this excessive turnover rate often makes for negative press and a debilitating narrative for HBCU institutional progress, a closer look reveals that the problem is much more severe and impactful than a bad news cycle. Research on HBCUs often focuses on several themes, including: revisions to the university mission; development of enrollment and recruiting strategies; strategic initiatives to increase retention; developing new programs of study; strategic planning for facility construction and upgrades; enhanced campus life and student development programming; using social and traditional media as cost effective marketing; increased fundraising, grant-writing, and lobbying of local, state, and federal government, and germane to this commentary, recruiting and developing executive teams. Additional studies suggest that an aging pool of current presidents, chiefs of staff, provosts, and executive vice presidents presents an opportunity to appoint diverse leadership talent in the coming decade. Senior staff recruitment (e.g. Provost/Chief Operating Officers, Chiefs of Staff/Administration, Chief Advancement Officers, Communications, Intercollegiate Athletics, Human Resources, and Technology/Chief Information Officer executives) remains a challenge because of salary considerations, perceived cultural and political challenges, and public discussion about audit, resource, and student recruitment and retention challenges across the HBCU sector. An additional challenge that often goes unconsidered is how executive turnover impacts the lives and careers of senior-staff administrators at HBCUs after the CEOs depart. In particular, the collective experiences of administrators who have decided to accept appointments at HBCU’s despite the aforementioned challenges often go unconsidered when the presidential-level transactions garner the headlines. Invariably, those individuals have their lives uprooted and careers derailed, creating a scenario in which they (and perhaps their extended networks of talented and well-credentialed colleagues) may be less likely to pursue career opportunities at HBCUs. At HBCUs, it is customary that the president/CEO starts his or her appointment with senior-level executives in tote, or in mind upon arrival. Therefore, the experience of senior-level executives at HBCUs can be as transient as their executive colleagues. At most Predominately White Institutions (PWIs), senior-level executives are placed in other roles where their talents and expertise can be utilized to aid the university community; however, at HBCUs that is not often the case. This explains an underlying challenge to recruiting a talented and diverse pool of candidates for career opportunities at HBCUs. In past decades, HBCU leadership and those in senior-level executive roles appeared to serve campuses for longer periods. While serving longer periods of time, the leadership established rapport and became friends as well as close colleagues outside of the institution. However, the current culture and environment at a significant number of HBCUs precludes personnel from building such important relationships both within and outside the institution. Personnel are not comfortable opening up to others as they may not be present the next week or even the next day, and it can be nearly impossible to determine those individuals’ loyalties, ulterior motives, and motivations. Constant turnover at the helm of these grand institutions have impacted the profile and talent at the institutions significantly, and not just in the Office of the President. Even though a significant number of talented persons of color consider it a career goal to work at HBCUs in middle manager and senior-level roles, they opt to be employed at PWIs or higher education associations as a result of this unknown. For those senior-level executives that do elect to assume leadership roles at HBCUs, when presidents are ousted potential negative experiences may occur. These experiences may include depression, indefinite unemployment and salary interruption, and the potential of harming one’s reputation to gain entrée to academe in the future. In addition, aspirant, well-credentialed, and competent individuals building solid curriculum vitae and serving student and institutional needs admirably can find their careers derailed for no other reason than the fact that the executive who hired them has been terminated, non-renewed, or has resigned. These negative experiences will continue to keep dynamic persons from leadership roles at HBCUs, despite their cultural importance, historical relevance, and rich traditions. Excessive executive turnover at HBCUs over prolonged periods significantly hampers the recruitment, hiring, and retention of talented faculty and administrative subordinates who fuel HBCU advancement. That’s not just bad PR. It’s a persistent existential threat to an already vulnerable sector of higher education. William Broussard, Ph.D. is a higher education executive, professor, scholar and sport culture critic with 16 years of experience at five institutions. He has served as an athletic administrator for a total of twelve years, including stints in academic support at Arizona, as Associate Director of Athletics at Northwestern State, and as Director of Athletics at Centenary College, Louisiana (D-III) and from 2012–2015 as Athletic Director at Southern University, and was named an HBCU Athletic Director of the Year in 2013 by HBCU Digest. He has also served as an award-winning professor and instructor of English and Journalism/Public Relations at Arizona, Pima Community College, Northwestern State, Centenary, and Southern. He is currently serving as Assistant to the President for Institutional Advancement for the Southern University System. Most recently, Dr. Adriel A. Hilton worked as chief of staff and executive assistant to the President at Grambling State University where he served as senior advisor to the President. He previously served as an assistant professor and director of the Higher Education Student Affairs program at Western Carolina University. In addition, he served as the inaugural assistant vice president for inclusion initiatives at Grand Valley State University (GVSU). American Council on Education. (2008). On the pathway to the presidency: Characteristics of higher education’s senior leadership. Retrieved from http://www.cupahr.org/knowledgecenter/files/PathwayPresidency.pdf. American Council for Education. (2012). The American college president (7th ed.). Washington, DC. Gasman, M. (2013). 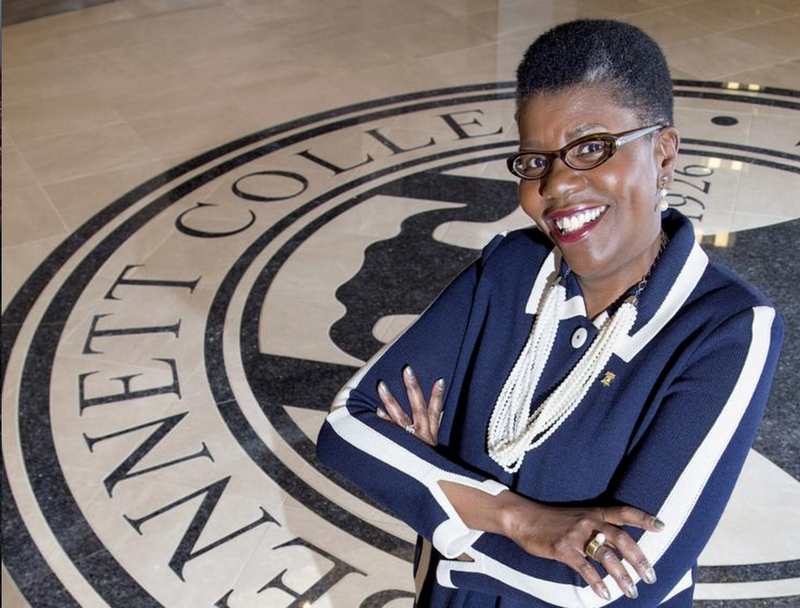 The changing face of Historically Black Colleges and Universities. University of Pennsylvania, Graduate School of Education. Retrieved from http://www.gse.upenn.edu/pdf/cmsi/Changing_Face_HBCUs.pdf. Gasman, M., & Commodore, F. (2014). The state of research on Historically Black Colleges and Universities (HBCUs). Journal for Multicultural Education,8(2).